Alex Toys My First Sewing Kit Just $14.09! Down From $35! You are here: Home / Great Deals / Amazon Deals / Alex Toys My First Sewing Kit Just $14.09! Down From $35! Alex Toys My First Sewing Kit is now offered at Amazon for just $14.09 down from $35 PLUS FREE shipping with Amazon Prime or for orders $25 and above! 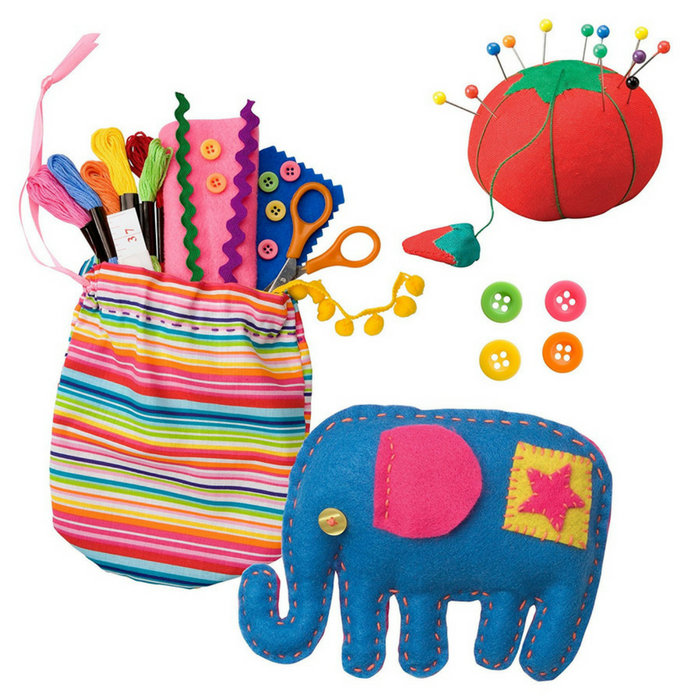 My First Sewing Kit will introduce children to the creative world of sewing. It’s a skill that lasts a lifetime and can be used to make adorable stuffed animals, notebook covers and more. All the materials you need come in the charming carry case that closes securely and has a handle for sewing on-the-go. This is fun! Hurry so you won’t miss it!